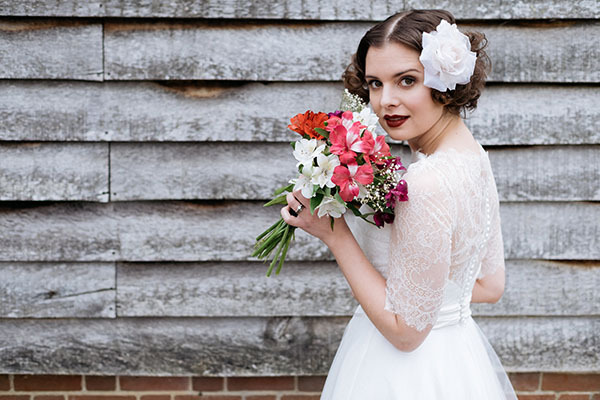 New bridal designs now launched, including two new silhouettes! 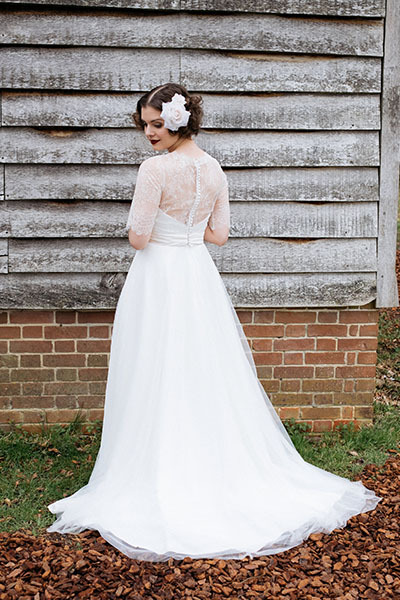 A beautiful shoot on a chilly day! 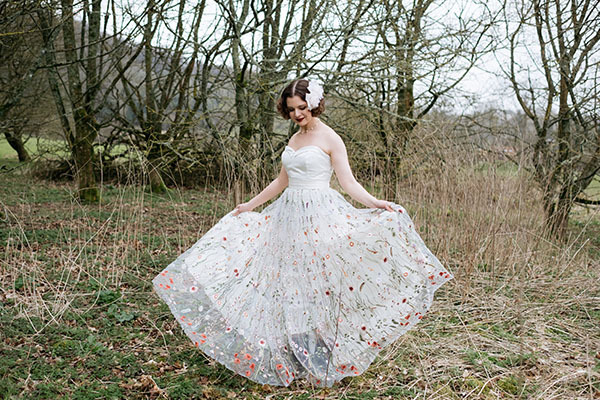 I am excited to share the photos of my new bridalwear, from recent shoot with the lovely Natasha Buckney Photography! 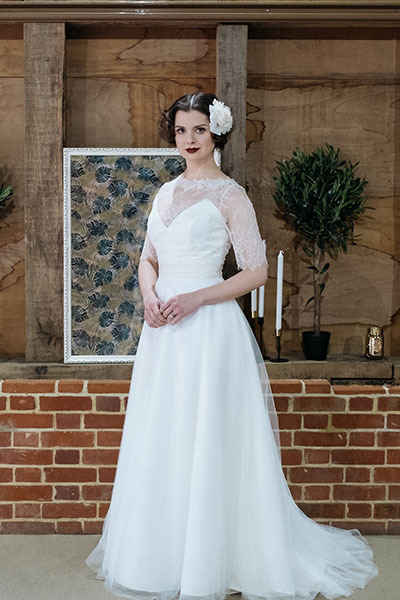 I am delighted to have launched two new silhouettes into my customisable bridal range – a floor length A-line and a mermaid silhouette. These are available, along side my classic fifties inspired tea length and high-low styles! 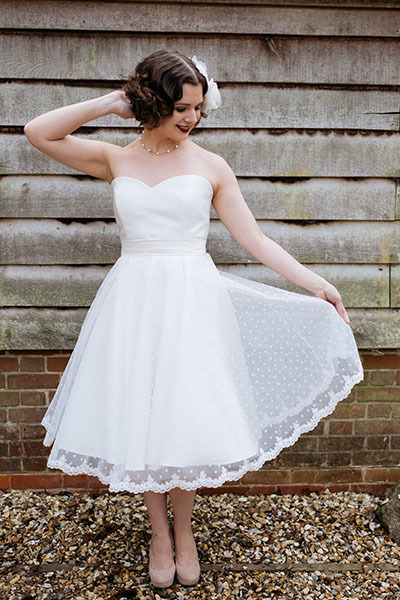 If you are not already familiar with Louise Rose Couture, I offer made to order bridal and occasion wear in customisable designs – meaning I have my ‘base dresses’ for you to try on in the different silhouettes, and then a range of different lace top and skirt overlay options so we can build your design, resulting in an individual dress, made for you. You can then decide whether to have your outfit made as separates (you then have the option to change up the look, or wear elements of it again! ), or have it sewn in as one dress to simply step into. Along side the new full length dresses, I have also added a new cocktail length fishtail occasion dress to the range. 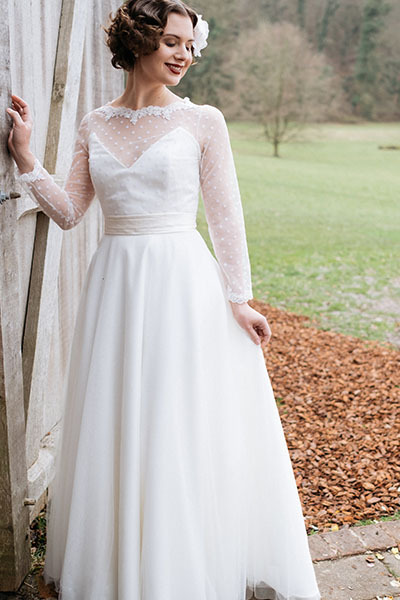 This one pictured has a champagne base dress, with a black off shoulder overlay, finished off with matching covered buttons. The photoshoot took place at Gilbert White’s House in Hampshire. It was the perfect setting, with it’s pretty barn, countryside and the historic house, such a gorgeous place to hold a wedding. 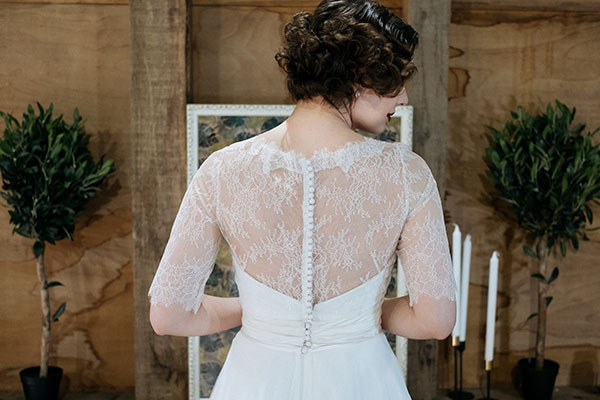 Natasha, of Natasha Buckney Photography, captured each and every dress so beautifully. Not only is she a talented photographer, but she also super lovely and fun to be around, which is exactly what you want in a wedding photographer (go check our her website!)! Our stunning model Rachel was amazing to keep going, despite how freezing it was – you wouldn’t even know looking at the photos! We had the lovely Paula, from Paula’s Vintage Parlour, on board to do Rachel’s hair and make-up. 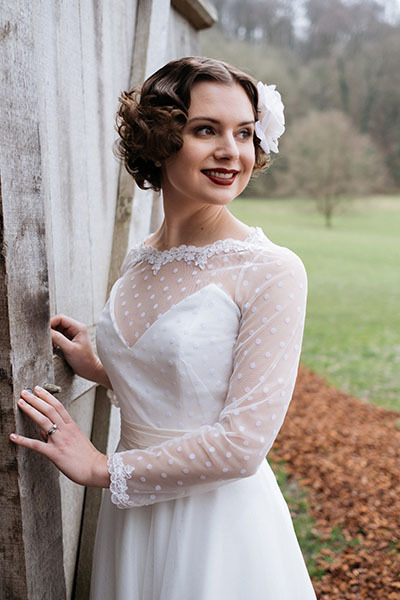 If planning a vintage look for your wedding, she is your lady! 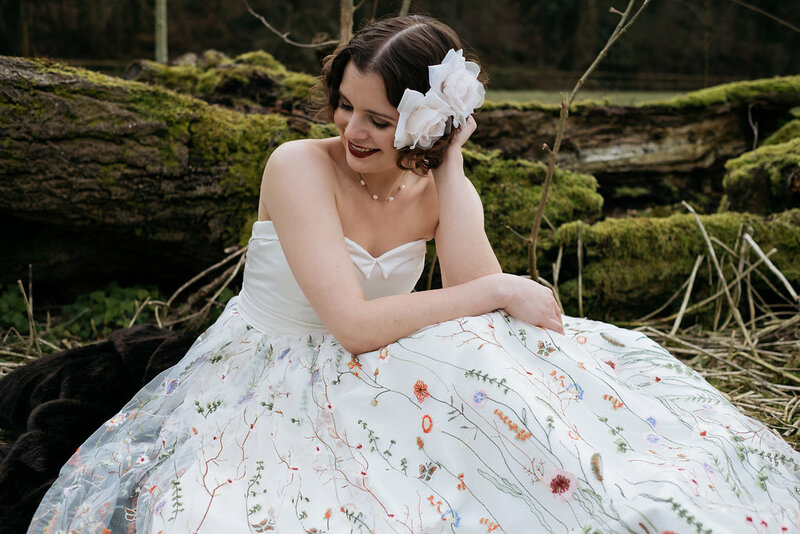 I hope you enjoy looking through the images and please get in touch if you would like to have a chat about having your dress made for you.